Mobile is becoming the main avenue through which hiring managers can recruit job candidates. In 2015, Google reported that more searches now take place on mobile than on the web. According to LinkedIn Talent Solution’s Mobile Recruiting Playbook, 74% of active candidates and 60% of passive candidates have viewed career opportunities sent to their inbox on their smartphones. The first step to creating a better mobile recruitment strategy for job seekers is to ensure that your company website is fully functional on mobile. Make sure your website fully reflects your brand on mobile (with eye-catching images, videos and content), so applicants can take a quick look and assess if your company culture fits their personality. Make sure a candidate can easily research your company on mobile, making information such as company history, mission statement and profiles of staff members easy to click on and read. Since many job seekers prefer using apps, consider designing an app specifically for those interested in applying for jobs at your company. As part of your mobile recruitment strategy, make sure the candidate can access online applications with one click, and that the application is readable and requires as few steps as possible. With so much information already available about candidates online through their resumes and social media sites, having them fill out their entire work history can be tedious and redundant. For a candidate trying to get a quick application in on their smartphone in the middle of their busy day, a lengthy application is likely to be out of the question. Also, make sure your applicant tracking system is mobile friendly and that candidates can easily upload their resume. With so many job seekers going mobile, the need for companies to use social media for their recruiting efforts is even greater. When smartphone users see a job that interests them or may interest someone they know, they are likely to quickly click or share it on social media. A recent whitepaper from cross-platform measurement company comScore reported that about 19% of all digital media time is spent on social media sites or apps. The research also found that nearly 80% of social media time is spent on mobile phones. This means not only should your company be active on social media as part of your mobile recruitment strategy, you should also work on optimizing your company’s social media pages and content so they can be easily accessed and viewed on mobile phones. Be sure to thoroughly test all aspects of your company’s online presence on mobile phones. No matter how well your website, job advertisements and social media appear on a computer, recruiting will be a more difficult process if you can’t capture the attention of mobile users. Jessica Cody, a native of Fairfield County, Connecticut, has a background in online marketing and public relations. Currently, she works at VHMNetwork LLC in the role of Marketing Analyst. She is a graduate of the University of Connecticut, where she studied Journalism and Political Science. She is also an avid runner with a passion for the outdoors. Mobile is becoming the main avenue through which hiring managers can recruit job candidates. 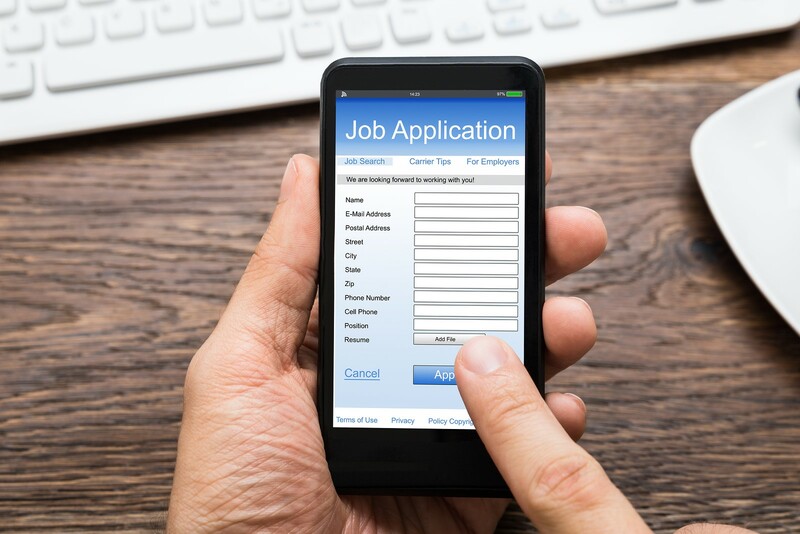 If companies want to have any leverage in a competitive job market, they must offer a convenient and seamlessly integrated mobile recruitment strategy to job seekers. Check out our infographic on the popularity of mobile in the job search, and read on for some mobile recruiting tips.